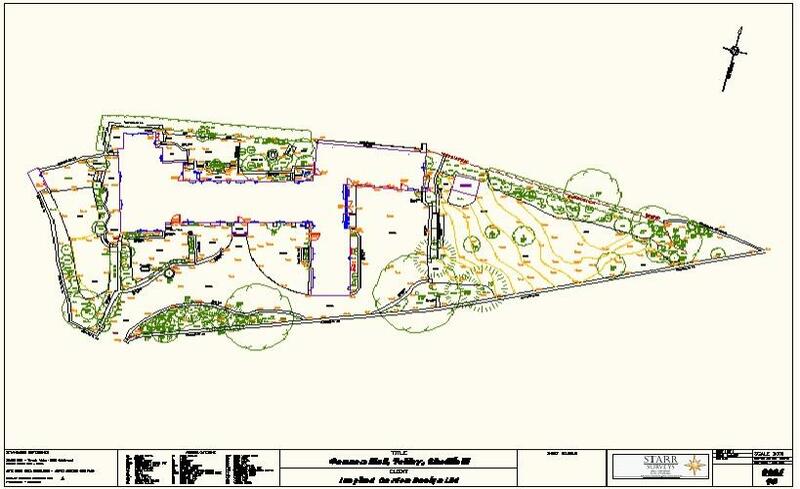 All topographic and site surveys can be delivered in 2D & 3D formats and are undertaken using the latest measurement technology and processing software. All of our surveyors are individually equipped with Leica GPS & Total Stations and the associated equipment providing a survey compliant to ISO specification and orientated to OS National Grid and Datum. A comprehensive field coding system allows any site object to be observed and placed within it's own layer in the final computer model. Data can be processed at any scale and contours produced at any interval. Collected data is then office processed through to final presentation.